Have you ever witnessed the emergence of a rainbow? I’m reminded of my childhood and the feeling of wonder that came over me when an awesome splash of color appeared like magic in a clear blue sky, after a summer rain. Those country rainbows amazed and humbled me at the same time. In my young mind, I thought God must be really something to create such awesome beauty! 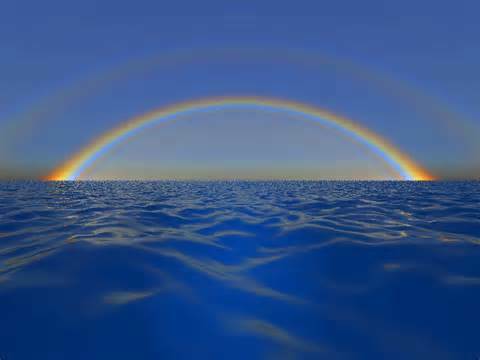 The rainbow reminds me of God’s benevolent presence and his everlasting love. It signals a time out for me to embrace introspection, spiritual reawakening, affirmation and self-examination. I am listening to the intuitive messages from the universe and will be extending my hiatus until August, so that I can learn the lessons and become a better servant to all of you. Knowledge is power and power comes from understanding who we are and what our purpose is in the only life we’ve been given. I want to help you empower your woman power and live your best life ever! Peace and Blessings to all of you and have a safe and memorable Fourth of July with family and love ones. Make time to embrace and “Be” present in his AWESOMENESS!